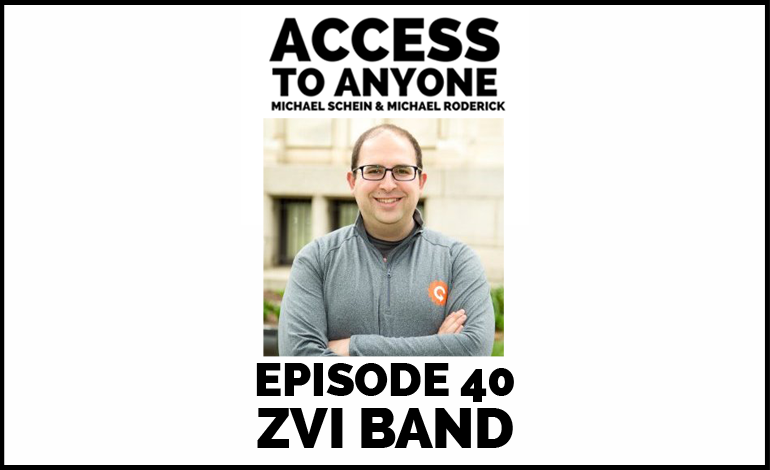 Zvi Band didn’t just embrace the art of networking…he built an entire platform around it. By combining connectivity with tech, his software Contactually is ushering old school relationship management into the digital age. Today he sheds light on how the move from introverted developer to relationships expert inspired him to build his platform. He also explains why friendship is the most powerful asset you possess, and why you should never let a good connection go to waste. How to organize your network. Zvi Band is a software developer, entrepreneur, and CEO of Contactually. His other big focus is building Washington DC into a major startup hub, through the DC Tech Meetup and ProudlyMadeInDC.